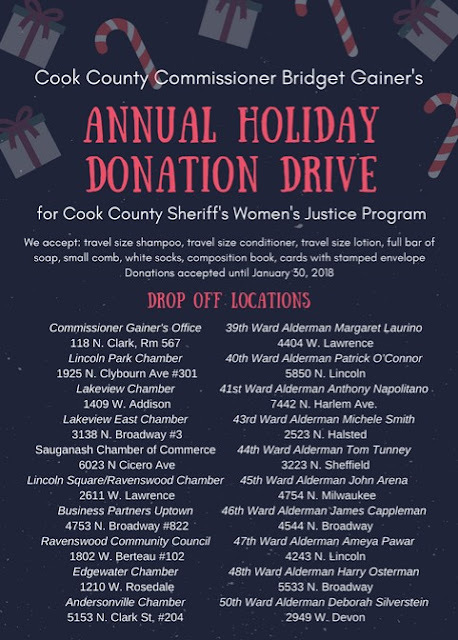 With the Holiday Season upon us, Cook County Commissioner Bridget Gainer is launching her annual toiletry drive for women at the Cook County Jail. Cmsr. Gainer is partnering with over 20 local Chambers of Commerce and community organizations and local elected officials to collect toiletries for the Cook County’s Women’s Justice Programs during Christmastime and Mother’s Day 2018. Currently women in the Cook County Jail receive a bar of soap upon arrival, so gifting them during the holidays with luxury small toiletries is a great way to spread some holiday cheer. Items available for donation include travel sized shampoos, conditioners, bars of soap, small combs, white socks, composition books and cards with stamped envelopes. 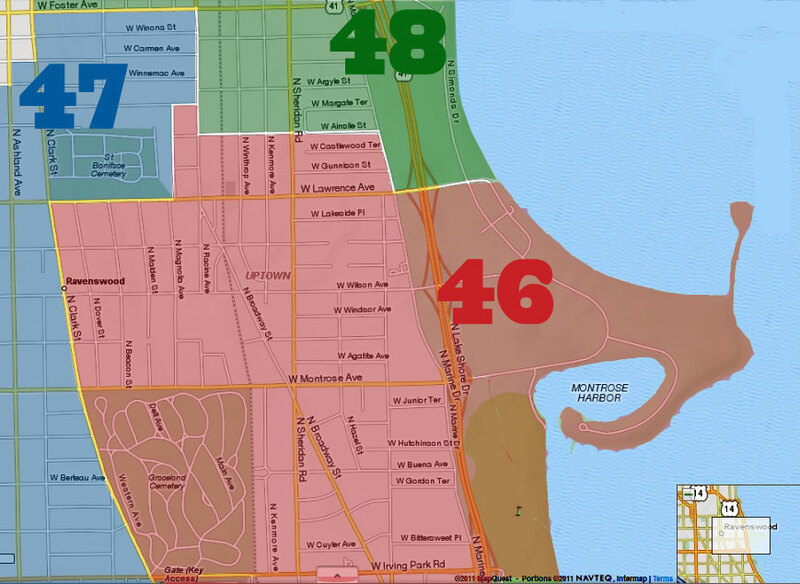 An interactive map with a full list of drop off locations could be found at www.bridgetgainer.com/toiletrydrive. For more information, call Commissioner Gainer’s office at (312) 603-4210 or email office@bridgetgainer.com. 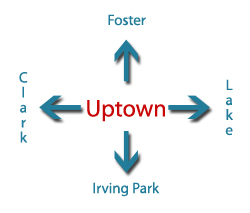 The two Uptown drop-off locations are Business Partners Uptown (4753 N Broadway, Suite 822) and the 46th Ward office (4544 N Broadway).